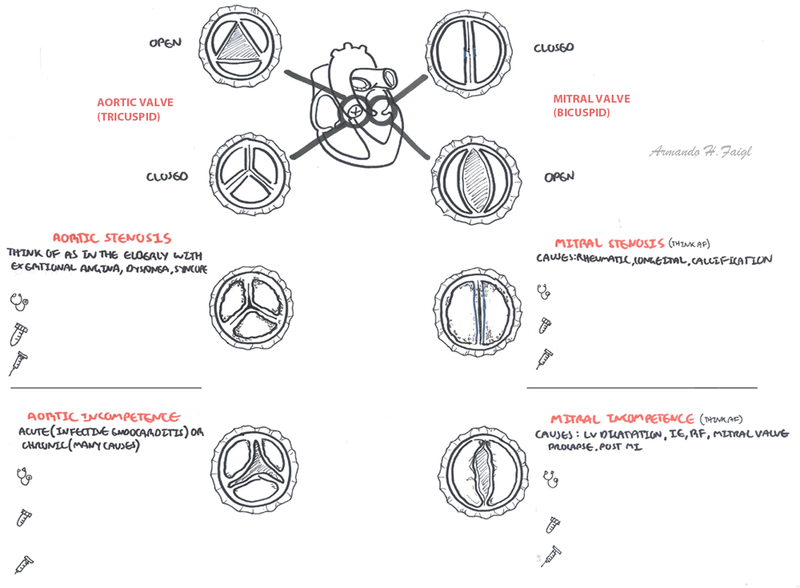 Aortic and Mitral valve pathologies. Can you fill in the blanks? What are the clinical features, tests you would order and treatment options? Aortic stenosis Exertional Syncope, Dyspnea and angina Pulsus tradeus et parvus, narrow pulse pressure, sustained and powerful apex beat.